Way back at the dawn of creation, before The Shirt, before The Pond, before The Heaving Bosom Of Emotional Confusion — so, around about 1993 or so — I dressed up as Jane Austen for a “be a famous person” thing at school. Back then my lines would still get a little blurred between which part of the About My Famous Person speech, written out in my barely legible mechanical pencil fist-smashy handwriting on neon note cards, was really about Jane herself, and which was about Elizabeth Bennet. The two iconic women blurred in my head. One was fiction, the other a hazy hagiographic ghost of a woman long dead whose image I recreated with my mom’s old Dutch Pantry waitress dress and a weird little red belt recycled from an old school photo shoot. But they were the women whose names and images first came to mind when I heard those three words, the ones that meant the big blue book with the golden edges was coming out. Pride and Prejudice. Ah yes. A book about sisters, mothers, best friends. And there was that guy in there who was kind of annoying but turned out to be okay in the end. What was his name? But then something happened. I became a teenager. And all of a sudden, at about that time, Pride and Prejudice went all teenager on me too. This book about sisters and being tough women and making decisions about how you’re gonna act when stuff gets serious somehow turned into a bodice ripping TV booby romance!? It’s been over twenty years now that we’ve discussed this book about women, by a woman, featuring a cast of women, almost exclusively in terms of “Mr. Darcy.” Darcy this, Darcy that. Darcy and a fried egg on top and Spam. But it’s not about Mr. Darcy. It never was. Just stop it. But Elizabeth’s choice to return to Pemberley with an open mind is what saves her sisters. Darcy could never rescue Lydia, and eventually restore Jane and Bingley, if Elizabeth never chooses to pay him the compliment of believing what he says in his letter about Wickham. So you know what? Spare me the “oooh Mr. Darcy is so amazing, Ooooh Mr. Darcy is so romantic” stuff. Yeah, he went after Lydia. But why? Because Elizabeth came back to him. She humbled herself, just like he did. She didn’t even have to. She wasn’t exactly nice to him, but she didn’t have to be. He is the one who insulted her, her family, her sister, etc, I already said this. And she is the one who went back. So she saw him at Pemberley, and although she had almost started to make up her mind that he might have been telling the truth about all that Wickham stuff in his letter (but not the bit about Jane — come on) there was still the whole issue of insulting her whole family. But then he was so nice. Even if it was fake-nice, he was NICE to her Aunt and Uncle Gardiner. The fishing! The tour! “His sister, his friends, his house, his fruit”! She started to really allow herself to believe in his innate goodness, a process that had begun already with his letter, but was now continuing because #OMGNICEDARCY. 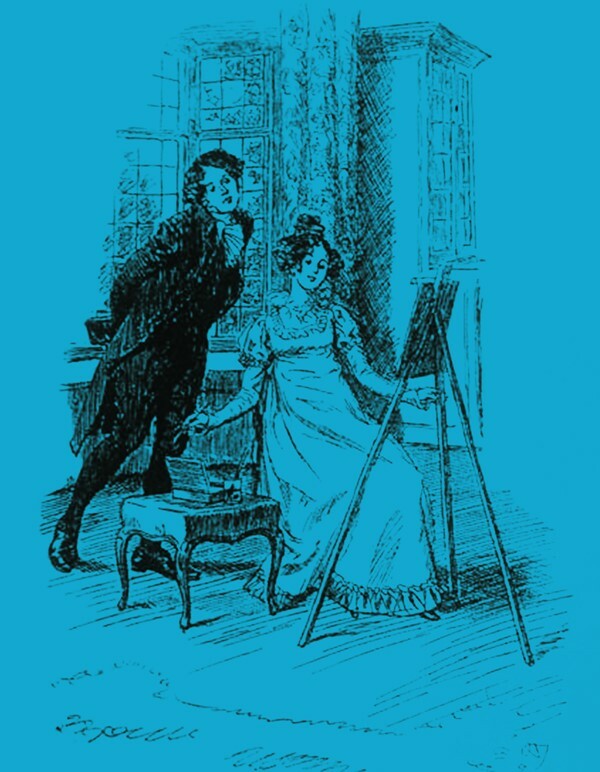 The belief in his goodness had begun when she (Austen Lesson) overcame her irrational emotions and realized that he wouldn’t feed her a whole line of crap in his letter if she was just going to go ask Colonel Fitzwilliam about it, but also — importantly — through her sister’s (Another Austen Lesson) ongoing insistence that Bingley wouldn’t have been friends with a total turd. Elizabeth’s decision to return to Darcy is the most heroic in the book. Okay so maybe P&P is a little bit romantic. Austen used the popular “marriage plot” novel to convey her moral lessons — self-knowledge and sisterhood — to us, kind of like how Tina Fey used 30 Rock to teach us how to work on our Night Cheese. But what is the romance, really? Where is the strongest proof of love? Darcy changes for Elizabeth, sure, but this book, written by a woman, starring women in all the major roles, featuring the problems women faced at that time, is about the changes Elizabeth went through, the realities she had to face and the sacrifice she almost had to make (Does he really love me? Will I get to live in that swank pad or not?) to restore her sisters. For one sister, restoring honor. For the other, restoring love, hope and the ability to trust people. So, while I think it’s okay to find Mr. Darcy dreamy and admirable and strong and clever and kinda nerdy and hot in a book-reading socially awkward smartass sort of way — no. On this Valentine’s Day I won’t say I ♥ Darcy. I am interested in hearing from fans of Jane Austen who share a love for her books with a sister or sister-figure in their lives. Did you grow up reading her books or watching Austen films with your sister(s)? Let me know, I might have some questions for you. Answer in the comments, or reach me via twitter @AmyLeeP. 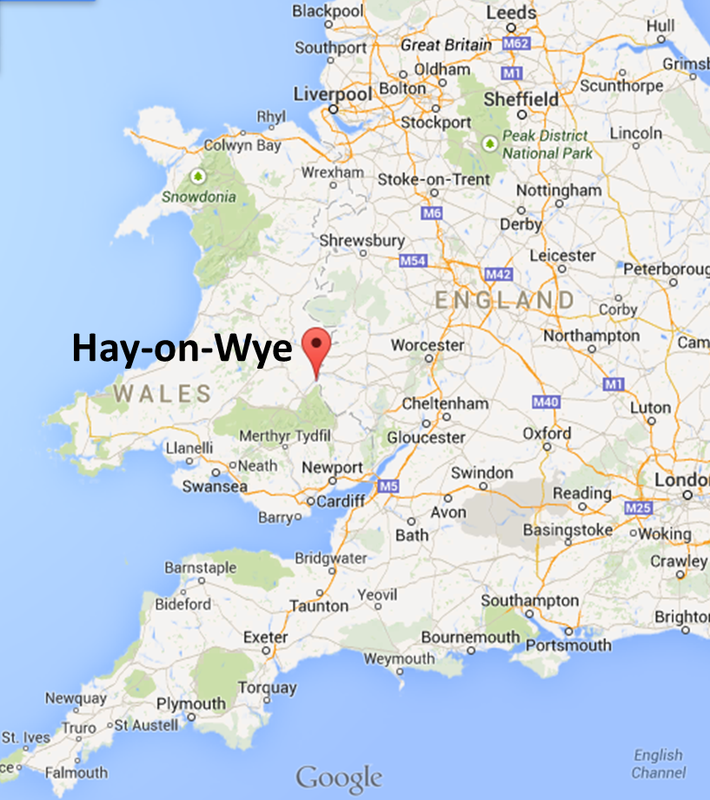 Hay was a quiet run down market town in 1962, when Richard Booth opened his first bookshop. Ten years and 40 bookshops later, the town had become a Mecca for book lovers the whole world over. On 1st April 1977 (All Fools’ Day) Richard declared Hay an Independent Kingdom and the town has been in the public eye ever since. The twinning with Timbuktu and our annual Literary Festival have also helped. Cool tile work outside the shop. THE FOLIO SOCIETY READING ROOM, I KNOW, SERIOUSLY…!!! To be honest though, there is a lot of wonderful non-bookish stuff in Hay as well. Including a place that sells sheep ice cream. (No, Mrs. Doyle, not ice cream for sheep. Ice cream made from sheep’s milk! And it was like SRSLY WTH OMG ALL THE ACRONYMS.) I know the camera can’t capture the sweeping vistas of the foothills of Brecon Beacons National Park, or the sound of sheep baaaa-ing from miles away on some distant hillside, but at least it can give you an idea of the place. What we strolled past between our B&B and the main town. Brecon Beacons & whatnot, right there, yay. Found this ne’er-do-well lurking in a bookshop window. Cute shops! Hay is awesome for all KINDS of shopping. The much-storied castle on the way back from wherever we were walking when I took the first picture of the much-storied castle. The medieval church, as seen from the end of the river path. FANTASTIC shop, with a hilarious and well-traveled owner. He once owned a first edition Austen SET. Yes. I know. No, I didn’t ask if I could touch the hand that sold it. Except for the SCREAMING SHEEP. You can hear them from MILES away. 20. HAY CINEMA BOOKSHOP. Castle St, Hay-on-Wye, HR35DF. Tel: (01497) 820071. Fax: (01497) 821900. Email:sales@haycinemabookshop.co.uk. http://www.haycinemabookshop.co.uk Hay-on-Wye’s converted cinema carries a running stock of ca.200,000 secondhand and antiquarian books on all subjects. Open (inc. Bank Holidays) 9.00am-6.00pm Mon-Sat. (Sun 10.00-5.30). Easter and Summer Holidays open till 7.00pm, Hay Festival open till 9pm. Closed Easter Sunday and Christmas day. Bargain books in the sculpture garden. Picnic area. Free customer parking. theguardian ‘Independent Bookshop Directory’ (2011) ‘A cathedral of books – an enormous building, stuff ed to the rafters with second-hand books on old library shelving. We visit Hay every year for a frenzy of book-buying, and the Cinema is usually our first port of call’. Just ONE corrider of books. This place is massive. Stacks of old PUNCH magazine. There was another stack this tall right next to this one. Mom and Beth split up. I already mentioned Mrs. Doyle. These are Father Jack’s favorite books. Tooootally awesome books for the Sir Walter in all of us. Because we all feel like this sometimes, right? The history of the town and the castle are inextricably bound together since William de Breos II, one of the most infamously treacherous of the Norman Marcher Lords, built the present castle c.1200. According to legend, the castle was rebuilt in one night by the wife of William de Breos, Maud de St Valery (also known as Moll Wallbee), carrying the stones in her apron. William and his wife had the misfortune to fall foul of King John who took vengeance by imprisoning Maud and her eldest son. It is reported that, in 1211, they were starved to death by being walled up alive, probably at Windsor, but possibly at Corfe. William fled to France where he died in poverty in Normandy in 1213. His body was taken to Paris and buried in the Abbey at St. Victor. The castle and town, during nearly eight hundred years, have suffered equally at the hands of Welsh patriots, English lords and reigning monarchs. In 1231 the castle was burnt down by Prince Llewelyn ap Ioweth and then rebuilt by Henry III c. 1233 before being restored to the de Breos family. Simon de Montfort, Earl of Leicester, reduced the castle in 1265 during the Barons uprising against the king. In 1322 the castle was captured by Edward II’s forces and confiscated from the de Bohum family, then lords of the manor. In 1353 the town and castle were, once again, destroyed by fire during the rebellion of Owain Glyndwr and the castle was declared to be ‘in a ruinous state’. Sometime between 1600 and 1650 the Jacobean mansion, set within the Norman walls, was built under the ownership of the Gwynn family of Trecastle but this too fell into disrepair. The 18th and 19th centuries saw a variety of tenants leasing the castle. A walk along the river. These are all pretty much a walk along the river. Except the one with Welsh words on it. Beautiful and scenic. No evil Lords of the March or King Johns in sight. Stairs down to the water. These came up every, I dunno, 50 yards or so? Imagine King John floating up the river to lay siege to the… nevermind. Cool! How many archers do you think can hide in those trees? Idyllic countryside, or scene of a bloody battle between royal rivals? Okay, probably just idyllic countryside. I LOVE THIS TUNNEL. It’s so cool and mysterious. It was probably built in 1972. I am an idiot. I know this. The one with Welsh words on it. 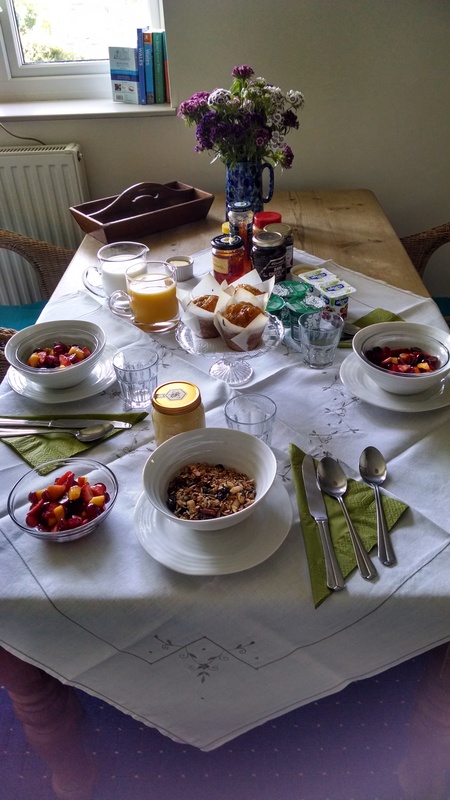 …unless you think you’re too good for this breakfast. Seriously, you’re not. It’s amazing. Shutup and book the trip already! Bottom line: this one definitely goes on the bucket list. Five stars. Good show, Hay. Good show indeed. EDITED TO ADD: Want more pictures of this charming bookish hamlet? This great little piece at Roadtrippers.com has a whole lot of them, obviously taken by people who weren’t so loaded down with stacks of books that they couldn’t get the camera out. Enjoy! Greetings and salutations! I left you all unceremoniously in the main hall, discussing fascinating plasterwork and a mad cousin. Today I’ll tie up a few loose ends, get into a little more detail about another Austen cousin, and finish up with some ZOMG MANSFIELD PARK SQUEEE! business that I know you’ve all been waiting for. First let’s start by taking a little trip back to the library. In Part 2 I mentioned “the wife of Jane Austen’s mother’s cousin, nephew of the Reverend who inherited in 1806, [who] later turned the [bed]room into a fantastic library.” And I included a handy family tree. If you are lost, feel free to take a moment. Okay. Better? Leigh Hunt was born at Southgate, London, where his parents had settled after leaving the United States. His father Isaac, a lawyer from Philadelphia, and his mother, Mary Shewell, a merchant’s daughter and a devout Quaker, had been forced to come to Britain because of their loyalist sympathies during the American War of Independence. Hunt’s father took holy orders and became a popular preacher, but he was unsuccessful in obtaining a permanent living. Hunt’s father was then employed by James Brydges, 3rd Duke of Chandos as tutor to his nephew, James Henry Leigh (father of Chandos Leigh), after whom the boy was named. Coooool. Royalist refugees! Fleeing those naughty American teenagers with their silly temper tantrums and brutal guerilla warfa… oh. 😦 Chandos and Leigh Hunt were therefore quite close, but Leigh Hunt went to school at Christ’s Hospital, just after Charles Lamb and Samuel Taylor Coleridge1, while Chandos attended Harrow School with – guess who! – that inimitable scoundrel, George Gordon Byron, 6th Baron Byron. In fact, David (remember – our tour guide) explained that the two were such close friends that Chandos Leigh was among the party that dined with Lord Byron on his last evening in England. With friends like Byron, I can’t help but wonder what kind of wild parties happened at Stoneleigh – but perhaps ol’ George was polite enough to keep his wildest behavior in check around the parents. We all had that friend, right? Although who knows – maybe Julie got in on it too? The generation of Leigh children pictured here also had a very special treat in store for them in 1858. In the summer of that year, Queen Victoria and her husband Prince Albert (and a whole bunch of their employees) descended on Stoneleigh to give the Leighs the pleasure of their company. The Royal Party’s visit was under much less trying circumstances than that of Charles I, (remember him?) but the expectation of having money spent on their visit was still present. David informed our group that the Leighs had to rush through an order of brand new china for the visit – they had to pay the factory to stop production on all of their other lines and produce their custom set for the Queen. And yet, even with all of t he expense of such a step, the set was used only during her three-day visit, and packed into storage after! Another way in which the Leighs pampered their Queen was by creating a special set of bedding just for her. The ladies of the house had a bedspread sewn from their most impressive dresses. But, David informed us, Victoria was so paranoid about assassination that she had the beautiful custom bedding replaced with her own for her visit. Typical! Now, just in case you think I’ve forgotten about our Dear Jane, I want to tell you that the room with all of the fussy flowery Victorian stuff is actually not the room the Queen stayed in at Stoneleigh – it is what Jane knew as the breakfast room. (Since us common folk are not fit to wander the upper corridors of this stately home, the Keepers of House have graciously rearranged a bit, so we can bask in Victoria’s frilly pinkness without leaving the plebe level of the house.) Remember how I mentioned that Jane and her mother preferred this end of the house, with its painted panels, to the dark oak on the other end? This was Jane’s favorite room, and the room from which she could sit and observe her favorite view. My sister took an awesome video of the room, in which you can see my hulking figure stumbling about the room, being, like, totally a loutish American, whoa! Go me! … and consider it a segue into my next topic – the Improvement of the Estate. Austenonly has a much better version of this painting on her Pinterest page, and I strongly, strongly, strongly recommend you read this post about the grounds, which we, having only a few hours, were not able to enjoy in their entirety. (Yes, believe me, I was also thinking: “I shall never be quite happy till I have been all round the park. A low phaeton, with a nice little pair of ponies, would be the very thing.”) She gets into the Repton history a little, but before I get too carried away with links, let me give you some hints of it. In 1809, Humphry Repton, the most respected landscape gardener of his time, was invited to Stoneleigh Abbey by Reverend Thomas Leigh to advise him on updating the abbey landscape. Repton created one of his ‘Red Books’, a collection of watercolour images of the house and grounds as they existed with overlays to suggest alterations to the estate. While not all of his suggestions were implemented, the result is a stunning natural landscape with superb views. New for 2014: visitors can enjoy the first phase of Repton’s idyllic walks over the river and take in the spectacular view. Come on now. What mom is gonna reject that guy? 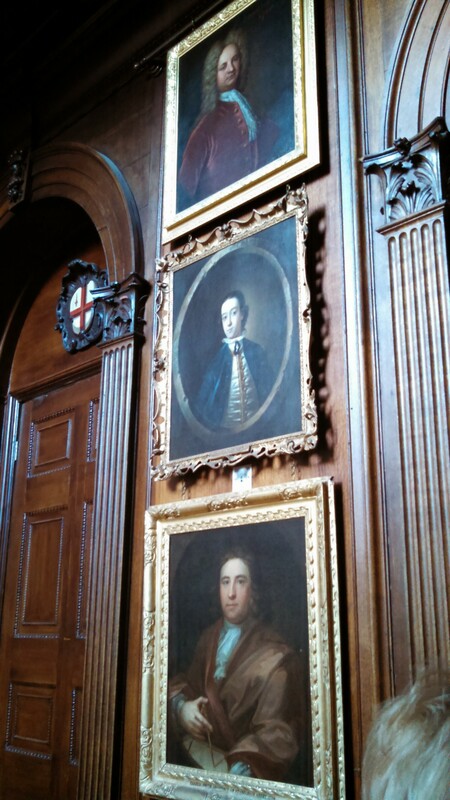 While we were in this room, David told us a fascinating story about one of the Leigh ancestors, Elizabeth Wentworth. She was the sister of Mary Lord, the wife of William Leigh, of the Adlestrop branch, who was Cassandra’s uncle, father to the Rev. Leigh who inherited Stoneleigh. There will be a quiz.2 This Elizabeth fell in love with a charming soldier without family or fortune to recommend him. His proposal was received with disgust by her mother, and he was turned away. BUT! Her loving sister Mary secretly helped the couple wed. Elizabeth’s mother presented her with more suitors while her secret love was off doing what soldiers do, but they were all spurned. Finally, a young man showed up for dinner, invited by Mary, and introduced as Lord Craven. (I think. Seriously, my handwriting…) He met the mother’s approval, and only after this did the sisters reveal that he was actually the soldier she had disapproved, now wealthy and aligned with her daughter Elizabeth! The kicker? His name was Thomas… wait for it… Wentworth. I know. I KNOW. SHUTUP! Jane Lark must have taken the same tour we did, because she has a nice romantic write up of the story – not surprising, as she writes romances. How swoony is that though? And yes, Jane probably would have heard this story from her mother, whose Aunt Mary perhaps disseminated it among the more adventurous of her young nieces. Now, obviously, Repton wasn’t brought to Stoneleigh until 1809, three years after Jane’s visit. But there is no reason to believe she would not have known of his coming, through family letters and gossip. We can perhaps imagine that she overheard conversations similar to those between Mr. Rushworth and Henry Crawford, who was enthusiastic about improvement, during her visit with Reverend Leigh. There must have been some of the party who disapproved not only of the dark oak inside the house, but perhaps of the dark woods outside as well. And it’s easy to imagine a man who has just come into such an amazing inheritance brimming over with plans for the future. The whole party rose accordingly, and under Mrs. Rushworth’s guidance were shewn through a number of rooms, all lofty, and many large, and amply furnished in the taste of fifty years back, with shining floors, solid mahogany, rich damask, marble, gilding, and carving, each handsome in its way. Of pictures there were abundance, and some few good, but the larger part were family portraits, no longer anything to anybody but Mrs. Rushworth, who had been at great pains to learn all that the housekeeper could teach, and was now almost equally well qualified to shew the house. It seems that what stood out Jane’s mind was the utilitarian nature of the chapel. This was not a medieval place of worship, painted round with red vines and filled with centuries of intricate wood carvings. It didn’t even have the cachet of the little Saxon stone church her father preached in, sanctified by untold generations of christenings and burials. This was a place where working people came to be preached to by a working minister, and the family, instead of suffering to be seated alongside the parishioners with only a wooden box to protect them from the sight of gap-toothed old widows, were granted the privilege of a seat high above the teeming masses of maids and butlers. Very beautiful, but not quite church-like. They latch from the outside! You’d better have an empty bladder before the service starts! Not bad, you could probably get some snoozing in without being noticed. But no crimson velvet cushions. Being shown around the Chapel, like the Bertrams & Crawfords. Headless Maria Bertram? Or just a nice display of Regency costume? You decide. At least the altar painting looks VERY churchy. Fanny would not be disappointed. The notorious crimson velvet cushions are still present, still appearing over the ledge like they must have been in 1806. Here is consistency to warm even Fanny’s heart. But would she have been disappointed to learn that Edward Leigh originally wanted them in blue velvet, and was forced into crimson due to a shortage of blue? How differently would Maria’s story have unfolded if only those cushions had not been of such a suggestively passionate hue? The world may never know. So there, there’s the payoff – the chapel at Sotherton, here before your very eyes. I believe that is all the loose ends of Stoneleigh for now3, although if I find any other goodies buried in my chicken scratch notes I will surely amend. When I return it will be to bring you tidings of another fascinating Austen site, and I promise you will not be disappointed! Unless you expect it to be written rather soon, in which case yes, you will be disappointed. I do not perform for strangers. But only because I’m too busy performing for my children. Q: Is there too much convoluted family tree stuff in this blog? If you answered A, B, or C, congratulations, you passed! 3. Actually, there is one more loose end. 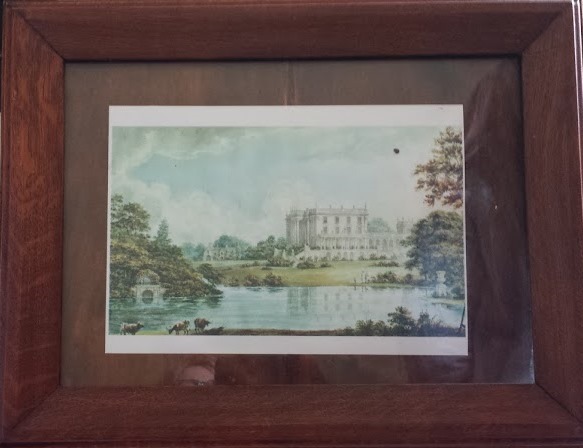 Harken back to Part Two – do you remember a photo captioned “Jane Austen’s Great Grandpa! In “of Orange” orange“? Well, you don’t have to remember it, I just linked to it for you. This is Theophilus Leigh, the one who had all the kids pictured in the dining room. The story goes that he rode off in opposition to William of Orange’s (William III) invasion of England, but, when the tide turned in William’s favor, he was quick to accept him as King, even going so far as to have himself painted with an orange sash. Oh, the vagaries of court life. During this part of your virtual tour, I’ll try to reconstruct the ancestral folk festival that culminated in Stoneleigh Abbey landing in the hands of Mrs. Austen’s cousin, the Rev. Thomas Leigh, rector of Adlestrop. I’ve pasted in another part of “A History of the County of Warwick” from British History Online, this time from Volume 6, published in 1951. I’ll blockquote the parts from that book. After the dissolution of the monastery, its site, with lands, mills, &c., was leased to Richard, Lord Grey, in February 1538 for 21 years, the reversion of the property after the expiry of the lease being granted in December of that year to Charles Brandon, Duke of Suffolk, who is said to have sold it to William Cavendish. From him it was bought in 1561 by Sir Thomas Leigh. He was son of Roger Leigh of Wellington (Shrops.) and had served as factor to Sir Rowland Hill, a wealthy London merchant, whose niece he married. Sir Thomas Leigh and his wife Alice Barker, now enshrined on the walls of Stoneleigh Abbey. Sir Thomas obtained the lordship of the manor in 1562 and died in 1571, his widow living there until her death in January 1604. His wife, Sir Rowland Hill’s neice Alice Barker, was 11 at the time of their marriage – he was 31. They had several children, and she outlived him by 32 years. She was notable not only for her long life, but for the almshouses she founded in the village, which still stood as of the Victorian times. which passed to his grandson Thomas, who was created Baron Leigh of Stoneleigh in 1643 and died in 1672, aged 76. Thomas Leigh, 1st Baron Leigh, 1592-1672. I’ve grabbed this image from Austenonly, with much gratitude, because my own photo of this painting in the Staircase Hall at Stoneleigh didn’t turn out very well. 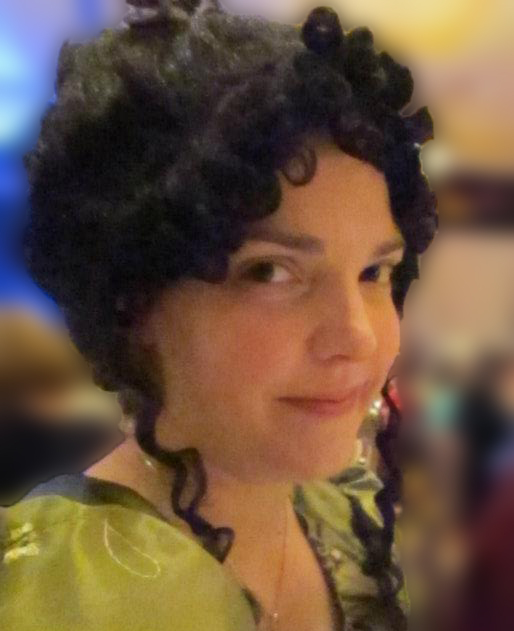 That post, at the link, is well worth reading for an insight into Austen’s Jacobite tendencies. Stoneleigh Abbey, from its foundation to the present time says of Thomas Leigh, 1st Baron Leigh that he “was reputed a giant; and it is told of him, though with what truth we know not, that on one occasion, finding a man riding a donkey trespassing within his park, he lifted up man and beast and threw them over the gates.” He certainly must have impressed King Charles I, who stood less than five feet. Charles I had reason to respect Thomas Leigh for more than his prodigious height. In the summer of 1642, when the gates of Coventry were shut against him and his assembled armies, Charles retreated to Stoneleigh Abbey and received (or demanded) the assistance of Sir Thomas. In exchange for hosting the armies of the King, Sir Thomas was created Thomas Leigh, 1st Baron Leigh on July 1, 1643. It must have been quite a sight to see the assembled armies of the king, with their tents and hangers-on, spread across the manor and park. And Thomas 1st Baron Leigh would have given other material assistance besides his land. But after this episode he was marked in the public mind as a Royalist – a label he would not have denied – but one that became dangerous for him as the tide turned against Charles. When the Parliamentarians came to power Thomas was imprisoned at Coventry, a place notorious for its bad treatment of Royalists. He was only freed by the hard work of his wife. For four years she begged the Parliamentarians to release him, but was finally only able to secure his freedom by making a payment of £75,000. That’s almost $18 million in 2014 dollars. She now had her husband back, but the family’s finances were in a less than ideal state. A bronze medal with a head of Charles I. is preserved at Stoneleigh, doubtless presented to his host by the King. And a portrait of King Charles, attributed by experts to Vandyck, concealed beneath a painting of flowers, was discovered in recent times by Sir George Beaumont, who noticed the outline of an eye peering through the leaves and petals, and suggested that the outer covering of flowers should be cleaned away. 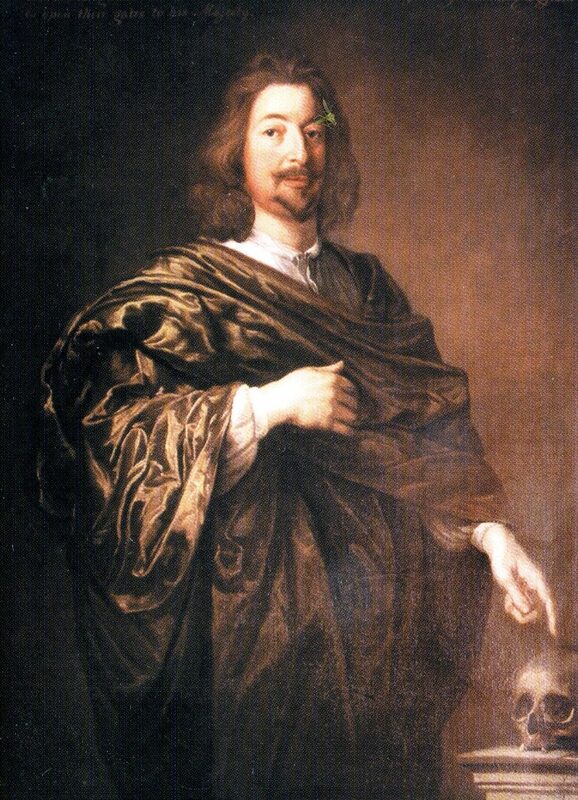 [Thomas Leigh, 1st Baron Leigh’s] grandson Thomas had been married in 1669 to Elizabeth, the wealthy heiress of Richard Brown of Shingleton (Kent), when they were both under age. He took a violent dislike to her and tried to debar her of her dower by making a fraudulent conveyance of this and other manors. Wow. At least she got the land? Between Robert Dudley and the abusive 2nd Baron, I’m beginning to think women weren’t always happy in marriage back then. But luckily for the Leigh family, their domestic dirty laundry was recorded for all eternity, and now pops up in the records of Jane Austen’s ancestors. 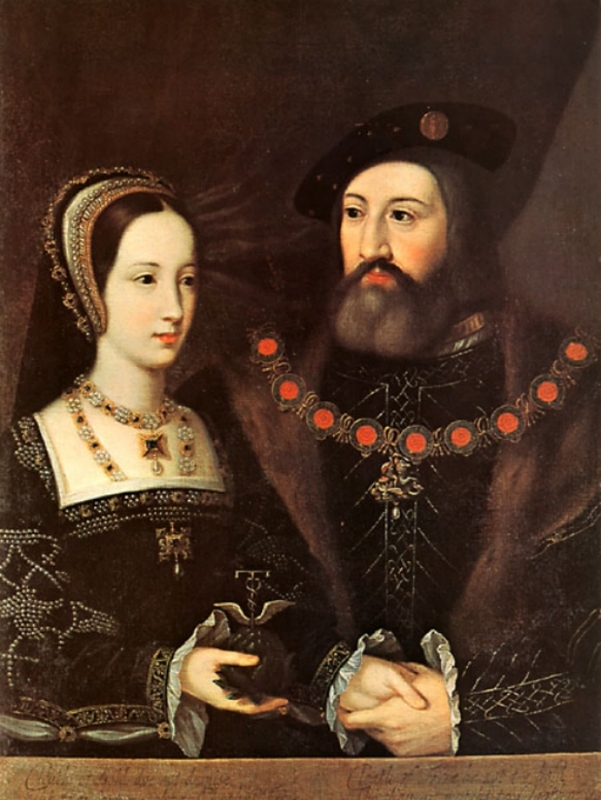 After the 2nd Baron’s first wife died, (I hope much lamented by someone, perhaps her children,) he remarried, and then, thank goodness, hurried up and died so that his son Edward could take over the estate. Jane Austen’s mother told her daughter-in-law that there were 45 windows on the West front. Surely Mr. Collins would be in awe. Stoneleigh from the North, view from the Gatehouse. A view of Stoneleigh from the South, over the River Avon. This picture was taken from a realty website for a listing of one of the homes that now make up the interior of the old Jacobean building. But he was not a brute. Some of the most impressive changes he made at Stoneleigh were to the benefit of the staff. While much of the service rooms were still in the Abbey, the servants were given a large gathering room under the west wing furnished with a massive stone fireplace, which much have come in handy during the cold months. Heck, even in summer it can be cold in England, and especially in a stone basement with stone walls and a stone floor! And most especially when you’ve been up since 4am scullerying & all that. I wasn’t able to get a picture due to the untimely death of my phone’s battery, but I borrowed this one from a blog post on “Warwickshire Wonderlands,” by the delightfully named Castle Lady. Please visit her blog, it’s Catherine Morland’s type of nice. David showing us the red velvet chairs in the drawing room. These chairs were dyed with carmine, made from beetles native to Mexico, and would leave pink dye on the dresses of fashionable ladies. Yet another reason I love living in the bluejeans era. 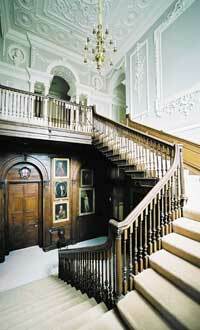 You can see the extensive, and expensive, oak panelling. In fact, the oversized mirrors were added to cut costs, because they were actually cheaper than oak panelling. David explained that the fire screens were there not only to keep the ladies fashionably cool, but to keep men’s makeup from melting. The makeup was, of course, made from lead and egg whites, and sealed with wax. Yuck. The next overpoweringly oak room is a card room – I believe it would have been the room to which the men retired to smoke and talk politics. It’s now filled with portraits – perhaps it was then, too. David gave us a quick history of portraiture, and explained that the cost of the portrait went up dramatically with the inclusion of limbs and hands. This explains why many portraits will have one hand hidden, and he also claims it’s how the phrase “costing an arm and a leg” came to be. I may prefer reading to cards, but I bet it would be fun to go a round against a Baron in one of those chairs. More portraits. The one on the bottom is one of the family children, but there was something in there about it not being right because his head is way bigger than his body. In my family, that would be completely normal. The next room on the tour began as the formal bedroom. In the time period that it was built, the bedroom was furnished with the most luxurious and expensive bits of stuff in the house, so it was in a place where it could be easily shown off to interested parties. However, the wife of Jane Austen’s mother’s cousin, nephew of the Reverend who inherited in 1806, later turned the room into a fantastic library. Did I confuse you? I confused myself. Here is a handy family tree, downloaded from the gutenberg.org (FREE!) text of Jane Austen, Her Life and Letters. I’ve tried to give some context. You will probably need to click make this one bigger too. And here is the library, formerly the bedroom. I know, right? I bout laid an egg. Those white books in the middle of the top shelf are *Elizabethan. * Yeah. I know. I know. Some kind of strange antler… hat rack? Who knows. I bet Lord Byron liked it. I mean, I see that it would have been impressive as a bedroom too, but I think the books only add to the wow factor. Jane Austen’s Great Grandpa! In “of Orange” orange. grandson Edward (certified as a lunatic in 1774) [who] died unmarried in 1786, the title becoming extinct. It’s a bit of a brush-off of this significant man, whose contributions to Stoneleigh amounted to more than simply being a conduit to the Austen visit. He continued the work of his grandfather, most notable in elaborate plasterworks in the stair hall and the front room. The 5th Baron was, unfortunately, not a well man. He was mentally unstable, and on the tour it was implied that it was partly this instability which led to the intricate and highly meaningful story laid out in plaster in the front hall. Austenonly has a FANTASTIC write-up on this room, and you should go read it RIGHT NOW, I’m serious, I’ll wait. If for some reason you enjoy seeing me squirm, stay here and I’ll try to summarize. First, this is the other side of the “Troll in the dungeon” door in the staircase hall. I’m 5’7″. Daaaaag. It’s hard to get a sense of how grand the room is, but this probably helps. HERE IT IS. HERE I AM. GEEKING OUT!! Edward Leigh, 5th Baron Leigh is pictured in the middle. The portrait was painted in 1752. Under his will, dated 1767, the estates passed to his sister Mary for life, with remainder to ‘the first and nearest of my kindred being male and of my name and blood’. At her death in 1806, the Rev. Thomas Leigh, rector of Adlestrop (Glos. ), a direct descendant in the male line from Rowland, eldest son of Sir Thomas Leigh, inherited the property, which passed at his death in 1813 to his nephew James Henry Leigh, whose son, Chandos Leigh, was created Baron Leigh of Stoneleigh in 1839, and died in 1850. And now, I think that’s enough for part two. In part three we’ll learn more about the Austen visit, peek in on Lord Byron and his friend Chandos Leigh, and finish up our tour of Stoneleigh. The first full day of our England adventure found us hitting two fantastic literary sites. The first was a small, insignificant place in a town no one’s ever heard of. 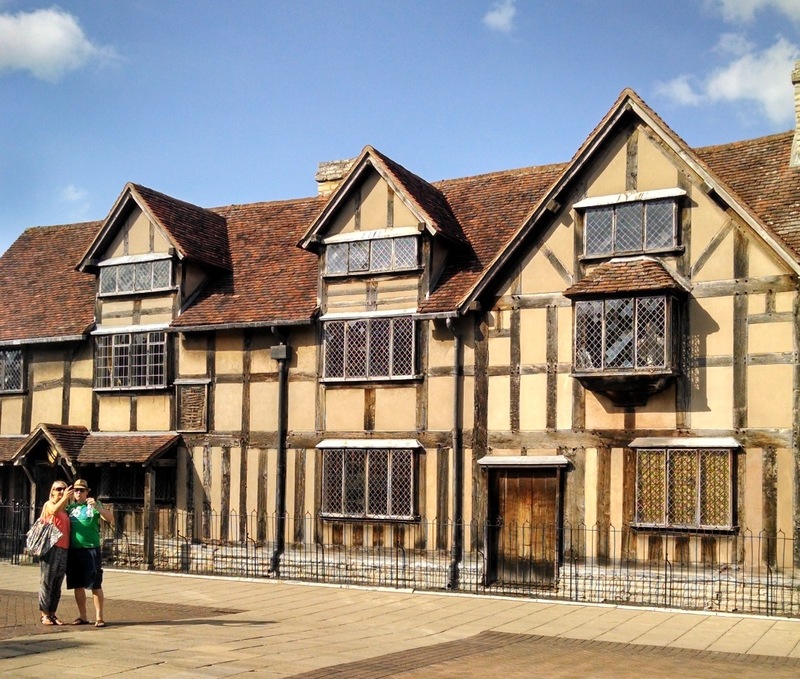 Oh my gosh, no, seriously, we went to Shakespeare’s house. Yes, Shakespeare’s HOUSE. Because it was awesome, that’s why! Yes, this the house in which William Shakespeare was born & grew up. No, I don’t know who those random selfie-taking tourists are in the foreground. I’ll spare you the entire set of “I’M IN SHAKESPEARE’S HOUSE!! !” vacation pictures, unless you’re friends with me on facebook. In that case, once I get them uploaded you’ll never hear the end of it. Once the family line had come to an end, the house was allowed to fall into a state of disrepair until a rekindling of interest in the 18th century. Isaac Watts, Charles Dickens, Sir Walter Scott and Thomas Carlyle were among the notables that visited the birthplace and autographed the walls and windows. Many of the signatures still remain on the windowpanes around the house, although the signed walls have long since been painted over. A guest registry book includes the signatures of Lord Byron, Alfred, Lord Tennyson, John Keats, and William Thackeray. It’s not surprising to see the ever-romantic Byron on the list. And as I found out later, he was in the area for more than just a Shakespeare pilgrimage. But you’ll have to keep reading to find out about that. After our most excellent tour of Shakespeare’s Birthplace we intended to head directly for Stoneleigh in time to pick up the Jane Austen Tour. Of course, because I am a scatter-brain (me? never!) and we were all running on jet-lag and English food (kidding, it was good), we got there right on time! Half an hour late! I guess I just wrote it down wrong. I have been known to do that kind of thing on a few occasions. Okay, on many occasions. The Orangery, on the banks of the “improved” River Avon. The Austenified menu in the tea room. A charming place for lunch. The “improved” view of the grounds. David, our tour guide, met us after he finished the Austen tour and answered some of my questions. The most important thing I learned from him, however, is that the people who work at Stoneleigh Abbey are among the nicest people in England. He even stayed in his Austen costume for our non-Austen tour – and believe me, staying in boots and a tailcoat is just above and beyond the call of duty for a young man. Well done, David. Suprisingly, they got robbed there too. So they said “forget it, we’re not staying here to be robbed and screamed at by the ghosts of murdered children,” and they took their God stuff to Stoneleigh, where they built their Abbey. And now we come to the Gatehouse. Everything was finally going well for the monks, and they were left in peace to pray and raise crops and focus entirely on pure, Godly thoughts, ha ha, oh boy, I am kidding again! Apparently the monks were not popular in their new home, because in 1241 King Henry III visited nearby Kenilworth Castle, and while he was there he ordered 40 trees cut down and sent to Stoneleigh to rebuild the Gatehouse. The original Gatehouse was sacked and burned in what must have been an extraordinary riot. The loss of a Gatehouse to a band of angry torch-wielding peasants was probably quite a dramatic sight to behold. But anyone who missed it only had to wait another century or so, because they did it again. This time the monks got wise to the world, and rebuilt the Gatehouse in stone. This 14th c. Gatehouse still stands, and it makes quite a beautiful entrance to the grounds. The Gatehouse, as seen from Stoneleigh Abbey. Gatehouse arch. The ancient bench has slots in it, possibly for spears. The doors of the Gatehouse. David explained that the monks of Stoneleigh made money for their order by housing pilgrims traveling the road between Coventry and Stratford. Those who could pay more stayed in the stone Gatehouse – the have-nots stayed in the stables or somewhere even less conducive to sleep. Either way, I’m glad I was born in the time of the Econolodge, and the Motel 6. No matter how awful they are, staying in a cheap motel sure beats sleeping in rotten, filthy hay. Apparently having children who were “more in number than his monks” wasn’t too impressive, because there were only eight monks in the Abbey at the time. But the rumor is that he visited his lady-friend Isabel by means of seven secret tunnels that led to seven mills in the area surrounding Stoneleigh. 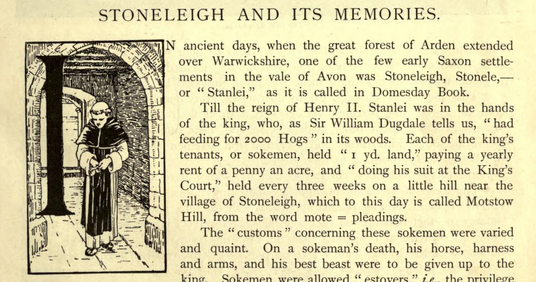 The 1896 History of Stoneleigh mentions that a group of cottages in the village is referred to as “Pipe’s Mill,” after Thomas de Pipe, but that book fails to mention anything more exciting than his ledger. David claims that Thomas was fired from his job at the Abbey after his embezzlement and other schemes were discovered, and became a highwayman instead. Supposedly, his intimate knowledge of the wealth of the pilgrims who stayed in the Gatehouse served him well in planning his heists. David further claims that after he had successfully robbed lots of people, he was reinstated at the Abbey, because they found that they had more financial success with him inside the walls than outside. Mary Tudor, sister of Henry VIII and Charles Brandon. The got quite a good value out of Henry’s toppling of the church. until that little bit about Henry VIII. You know, the one who dissolved all of the monasteries. Stoneleigh was not immune from the dissolution, although at least its abbot was pensioned off at £23 per annum – actually quite a princely sum at the time. Henry VIII bestowed the grounds and Abbey (now stripped of treasures, and of glass & lead) to the husband of his sister, Charles Brandon, 1st Duke of Suffolk. I have read differing accounts of the myriad ways in which the manor passed down through the Leigh family, and in the next post I’ll do my best to break down the route through which Stoneleigh eventually ended up in the hands of Mrs. Austen’s cousin. 1. Before I dive in too deep here, I want to share two links with you that will give you some fun information on “Stanlei,” which became Stoneleigh. They’ll come up again later. The first is an excerpt from “A History of the County of Warwick: Volume 2,” published in 1908 and found at British History Online. The second is “Stoneleigh Abbey, from its foundation to the present time,” written in 1896 by (what must have been) a Leigh family member. Only 50 copies were printed, but Archive.org has the whole thing preserved online. It’s been a while! I stopped writing “for free” for a bit to concentrate on pursuits that involved monetary recompense. But at the moment I am sitting in a “sitting room” in England, using it for what it’s intended, huzzah, and I have a lot of pictures I want to show all of you, and lots of background to those pictures that I think you’ll enjoy. You see, I’ve been on a trip for the last 11 days through “Austen country” – both the bits you know and the bits you probably haven’t yet heard of. I think you’ll really enjoy some of these photos and the stories behind them. And the best bit is that sharing them with you won’t keep me from getting paid! And that is the most important thing, after all, isn’t it. No, this blog is not about music. It is about my own recent (and slightly prolonged) escape from the world of Jane Austen. I reached my saturation point near mid-August when preparing for this year’s JASNA AGM in Minneapolis. (If you visit our shop’s facebook page & scroll down to September you can see some of the fun we had.) That doesn’t mean I haven’t been productive – I’ve written several articles and worked on a couple of Austen-related fiction projects. (Don’t worry, I’m sure they’ll never go anywhere!) 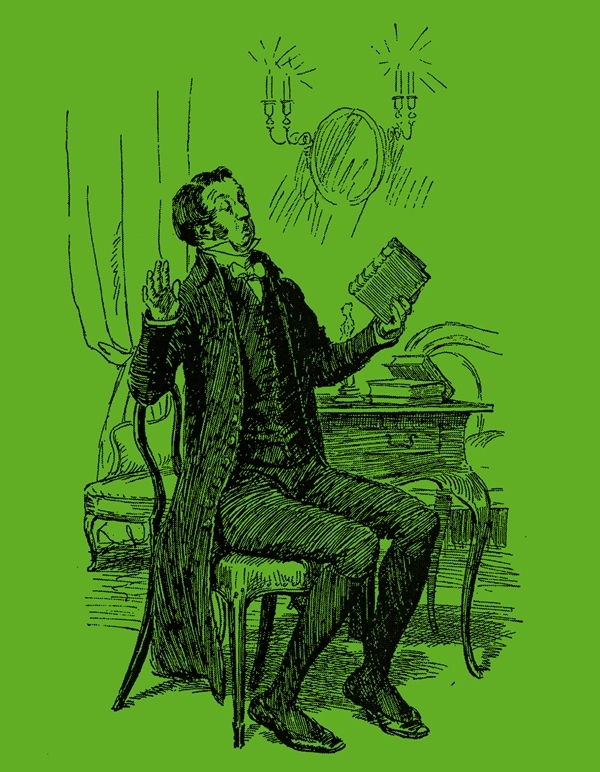 But I have pretty strictly abstained from reading Austen, or Austen fiction, or Austen scholarship, or watching Austen movies, because I just can’t handle any more of it right now. “Oh! the comfort of being sometimes alone!” And Oh! the overwhelming joy of rediscovering some of my favorite pre-Austen-bookstore fiction. I spent a few months getting reacquainted with some authors I haven’t visited with in a while, and it was lovely. I haven’t read anything worth mentioning in the last week or so – but I did find a couple of used Star Trek novels at Half Price Books. They are my brain’s junk food. There is nothing more therapeutic than turning off the critical reasoning half of my brain and getting thrown into the high stakes adventures of a rag-tag bunch of space warriors. But I know at some point the old habit will come back. She’s been calling to me, my Dearest Jane. I almost unconsciously put a Pride and Prejudice DVD into the player the other day before I realized that my self-imposed Austen sabbatical hasn’t quite run its course yet. All this is to say: I will be back shortly with all of the bloggy gifts I promised you. And in the meantime – I’ve shared my shameful “junk food” books with you* – what do you read that you don’t want anyone to know about? In Part I, I briefly discussed some of Austen’s clergy and their marriages. One of the things that got me thinking about these marriages was an article referenced by Sarah Emsley in her blog about Mr Collins. (sometimes I think she and I are the only people talking about Mr Collins!) I already knew I wanted to write something about his marriage to Charlotte, but when I read Ruth Perry’s Sleeping with Mr. Collins (JASNA Persuasions No. 22, 2000) my thoughts clarified a bit. I realized that I wasn’t interested in what Mr Collins’s matrimonial choices say about his relationship with Charlotte, but what they say about his relationship with the church and his parishioners. Mr Collins’s story is another tool in Austen’s “moralist” toolbox. His marriage to Charlotte is a representation of his symbolic marriage to the church; both should be lifelong commitments, and both carry at least the expectation of faithfulness, honesty, and morality. But why would a young man with his own money to spend choose to encumber himself with a commitment such as marriage? For sure, much is said of the obligation of young women in the Regency era to marry or suffer dire consequences – but men faced pressure to marry as well. For one thing, if a man was part of the landed class and failed to produce a legal heir, his property would no longer belong to his patrilineal line – in Mr Bennet’s case it was entailed upon his distant cousin Mr Collins. There also wasn’t much of a reason to stay single. Many of England’s eligible young men were off fighting Napoleon or colonizing the Indies, leaving a surplus of pleasant young ladies behind. In the most crude sense, it was a buyer’s market. Mr Collins’s entry into this market comes in Chapter 13. He is presented to us from the beginning as someone who, though disadvantaged in his youth, has achieved his current position through a combination of brown-nosing and being in the right place at the right time1. Mr. Collins was not a sensible man, … The subjection in which his father had brought him up had given him originally great humility of manner; but it was now a good deal counteracted by the self-conceit of a weak head, living in retirement, and the consequential feelings of early and unexpected prosperity. A fortunate chance had recommended him to Lady Catherine de Bourgh when the living of Hunsford was vacant; and the respect which he felt for her high rank, and his veneration for her as his patroness, mingling with a very good opinion of himself, of his authority as a clergyman, and his rights as a rector, made him altogether a mixture of pride and obsequiousness, self-importance and humility. Not only is he vain and self-centered, he is also totally unaware of his own ample shortcomings. We feel tremendous pity for Charlotte, and sympathize with Elizabeth’s feelings of betrayal over Charlotte’s agreeing to marry him. But are all of these negative feelings limited to his relationship with Charlotte? Or is Austen using his unsuitability as a mate as a representation of his unsuitability as a religious leader? We see that his marriage is a matter purely of convenience for Mr Collins, and we’ve established that his profession is as well. [This was not uncommon in Austen’s day – I discussed the role of primogeniture in the dissemination of family livings to younger sons in Part I.] Does he preside over his parishioners with an air of self-congratulatory self-importance? One need not imagine that he presides over Charlotte in this way – we witness both his showy displays of affection and his total lack of emotional penetration during Elizabeth’s Hunsford visit. It’s not hard to imagine him, in the most intimate moments for either wife or parishioner, being carried away with his inflated self-worth. In some ways he is rather like Emma, congratulating himself for “helping” while unwittingly inflicting pain and discomfort. “Unwittingly” is an important word here. There is undoubtedly something malicious about Mr Collins (though not nearly as malicious as the last several film adaptations would have you believe), but he is also so blind to his own behavior, so naive to social customs and social roles – it is very easy for the reader to see how his unhappy childhood and sheltered university years combined to create a man unaware of the true nature of the world. But that little twinge of malice in his character shows us that every now and then he is fully aware of the hurt he is causing. His letter of condolence to Mr Bennet on the event of Lydia’s disgrace causes him “to reflect, with augmented satisfaction, on a certain event of last November; for had it been otherwise, I must have been involved in all your sorrow and disgrace.” If we compare him once more to Emma, however, we see that when she is finally able to see how hurtful her behavior truly is after injuring dear Miss Bates, she is mortified and attempts to make amends. But Mr Collins has no such moment of clarity. He has wheedled himself into positions in his personal and professional lives that allow him to continue to condescend with impunity. It’s simply a shame that such a man would be put in charge of the lives and afterlives of parishioners who had no choice but to involve him in their most vulnerable moments. If we return again to the scene at the Lychgate where we have already witnessed the kind an thoughtful words of Edmund and Edward, and the preening and simpering of Mr Elton, we now see Mr Collins lecturing a grieving widow and her passel of children. One can imagine his admonitions to the children to perform their duties without excessive displays of grief that are unsuitable for those in their station in life. And to the mother, not to expect more than her fair share of charity from his esteemed patroness. After all this discussion of the less-esteemed clergymen in Austen’s novels I should turn to one that we all love and cherish: Henry Tilney. He is the epitome of sweetness and a paragon of clever convsersation. In some Austen circles it’s considered sacrilegious to even hint that he may be, like the rest of us mere mortals, imperfect. Henry is an adorably easy to love hero. He doesn’t have any of Mr Darcy’s hauteur or Edmund’s lack of resolution. He is just independent enough to make his own decisions about love, but just dependent enough on his tyrannical father to excuse his failings as a suitor. 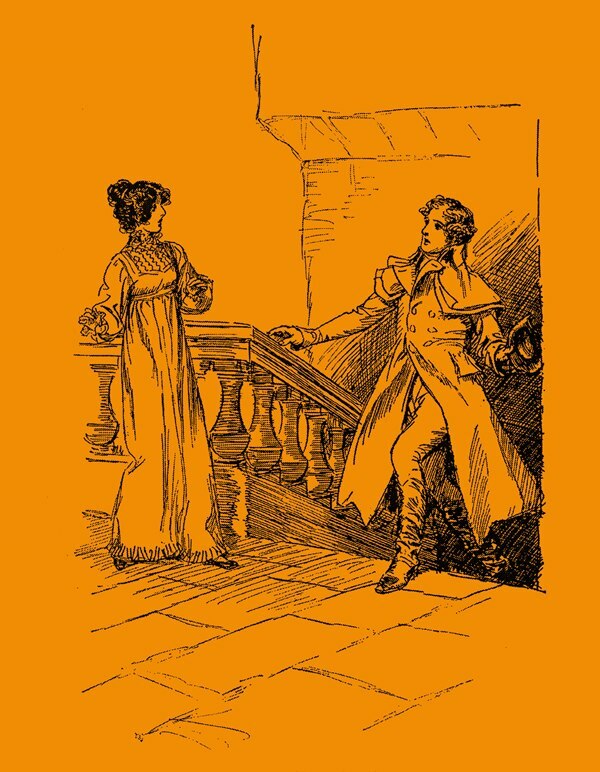 I’ve often felt that he’s probably so easy to love because Northanger Abbey is, in Austen-terms, “unfinished.” Of course it’s a complete novel, but she never returned to it to clean it up the way she did with her later, more successful novels. Because it was written when she was still a young woman, and not as drastically redone as Elinor & Marianne or First Impressions, the characters are less complex. Yet even a relatively simple Austen character is infinitely more complex than those of other writers. So while I think Henry’s overpowering sweetness is charming, that charm is tempered by my suspicion that if he’d been revisited by the editing pen, he’d have grown some warts. As wonderful as he is, however, Henry’s character (shockingly!) carries with it some quirks that make him less lovable than he appears at first glance. After all, much of the time he shares with Catherine in Bath is spent lecturing or ridiculing her – however gently it is done, it is ridicule nonetheless. Henry, lovely Henry, is easy to defend because he is a happy, affectionate lover. He greatly enjoys Catherine’s innocence and naivety. Yet his love for her is tempered with a strange kind of disrespect. He occasionally seems to feel – as does the reader – as if Catherine needs a man who is smarter than her to navigate her through life. And while this may be so for Catherine Morland at 17, will she still feel as if she needs such education as Mrs Tilney, 23? As a 31 year old mother of several children? At what point will Henry stop “teaching” her and start learning from her? While I don’t think news of their marriage at the end of the novel portends doom and gloom, I do wonder if theirs would be the happiest and best-deserved marriages of the 6 novels. To be sure, he braves quite a bit of unpleasantness from his father to secure Catherine, but once he has her, it is possible that he may learn to neglect her or, if her lovely uninformed mind at 17 fails to mature to his expectations, despise her and make her an object of ridicule for their children. I can hear the Tilney fans shouting already – “Henry would never neglect Catherine!” But we see that he is eminently capable of neglect. (I greatly enjoyed the phrasing in this wikipedia page: “Henry Tilney, in fact, in Northanger Abbey, is absent from his parish half the time and takes holidays in Bath, so that in spite of his intellectual and moral qualities, he bears witness to the lack of commitment of certain clergymen towards their flock.”) He is supposedly an active clergyman – no mere curate – yet he spends a great deal of time in the novel not attending to his parish. Perhaps Henry, like Catherine, still has much to learn about the world. His wit is one of his main attractions, but it’s also an indication of the type of clergyman he must be. He is clearly thrilled by educating others, and full of joy and happiness, but would he be able to educate his parishioners without condescending to them or laughing at them? He is barely able to do so with Catherine. I should no more lay it down as a general rule that women write better letters than men, than that they sing better duets, or draw better landscapes. In every power, of which taste is the foundation, excellence is pretty fairly divided between the sexes. Right on, Henry, right on. After a bit of a hiatus due to an overly busy Spring season with the bookstore, I have returned to my rightful place on the couch with a sick little boy laying on top of me. As an Austen fan it’s probably obvious that I’ve daydreamed about visiting Pemberley or spending a week in Hartfield, getting the lay of the land and catching up on all the latest gossip. But I’ve never been so romantic as to think I’d enjoy living a Regency lifestyle for very long – and this idea is never more clear to me than when I have a child with (thankfully very very mild) pneumonia. I got him in to the doctor before it could make him unbearably ill, and a quick & easy administration of antbiotics in the mornings will soon set him right. What a relief. Many in Austen’s era weren’t as lucky. Epidemics like tuberculosis and tyhpus could kill hundreds of people, with children the most vulnerable, their tiny bodies not strong enough to fight off these horrifying infectious diseases. A trip to an old churchyard will show you the alarming regularity of child loss in the era before modern medicine. It’s easy to see old churchyards as charming and quaint, almost decorative additions to village life. In England especially the ancient stone churches feel like monuments themselves – not merely to those eternally resting on their grounds, but to the centuries of small-town concerns these buildings would have witnessed. But even one of the most iconic images of the classic English church – the Lychgate – is a symbol of death. This quaint wooden structure is the last departure point for an unconsecrated body. Under this roof, the family of the dead would gather for a last time and say their goodbyes. And under this roof they would be joined by their clergyman, whose role was to meet the family at the intersection of unholy and holy ground to perform the rites that would allow their loved one to be given a proper Christian funeral in consecrated ground. Austen gives us varying views of the English clergy. Herself the daughter of a Reverend, she clearly had great respect for the role of the church in everyday village life, even if that role was often fulfilled by those not up to the task. A few of her ecclesiastical characters actually give us hope for their parishioners; Edward Ferrars’ calm resignation and Edmund Bertram’s thoughtfulness (when not distracted by a pretty woman) both make me think they’d make an honorable showing at the Lychgate, providing quiet and peace to a family embarking on the long and painful journey of mourning. However, there are other members of the clergy in the Austen Canon that make me cringe to think of the way they’d conduct themselves in such a moment. Though many scholars have taken on Austen’s treatment of the clergy (notably Irene Collins in Jane Austen and the Clergy) I feel as if they deserve another look. Although many of her contemporary readers would have been familiar with the standard sibling professional hierarchy, it sometimes comes as a surprise to modern audiences that younger brothers were often assigned careers based simply on the order of their birth. Because of primogeniture, the eldest son was destined to inherit the estate, no matter how terrible he would be at maintaining it. It was ostensibly his choice whether to support his younger siblings financially, although running an estate often didn’t include the financial wiggle room to support more than one family. Also, if you’ve ever spent any time around sibling boys, you can probably imagine that they aren’t exactly fond of sharing their toys. Colonel Brandon’s story, however, highlights a dynamic in Regency sibling relationships affected by laws of entailment. Because the younger siblings didn’t inherit an estate they often needed to come up with some sort of income. This usually meant a commission in the Army or the Navy, or if those were “too smart,” the law. And for the son who didn’t fit into any of those roles, there was always the clergy. Of course, Edward Ferrars’ situation was a bit different. He was an older child left waiting for the death of his mother to inherit his fortune. His younger brother’s heartless manipulations allowed Robert to triumph over Edward financially, but one cannot help pitying the man taken in by Lucy Steele. Mansfield Park‘s Edmund Bertram is truly the younger brother left to the whims of his older brother’s financial indulgences. And like Edward Ferrars, Edmund is luckily rather happy with the idea of being a clergyman. These Austen heroes both find happiness in a life of quiet solitude and reflection – a choice reflected in both of their marriages to quiet, reflective women. But not all of Austen’s clergymen make such sensible matrimonial decisions. Mr. Elton, of course, finds his Augusta at a popular watering-place. They were presumably brought together by their mutual desire to impress others at all costs. I often defend my dear Emma, and in this case it’s easy to see that her being fooled by Mr Elton was due as much to her naivety as to her vanity. Elton, however, proves himself to be exactly what Mr Knightley warned Emma he was. 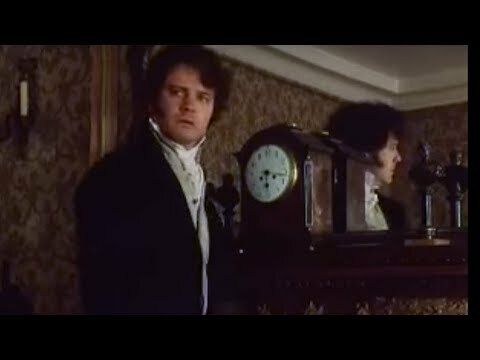 She remembered what Mr. Knightley had once said to her about Mr. Elton, the caution he had given, the conviction he had professed that Mr. Elton would never marry indiscreetly; and blushed to think how much truer a knowledge of his character had been there shewn than any she had reached herself. It was dreadfully mortifying; but Mr. Elton was proving himself, in many respects, the very reverse of what she had meant and believed him; proud, assuming, conceited; very full of his own claims, and little concerned about the feelings of others. Emma expected Mr Elton to share her values. She valued a friend who would listen to her and be a submissive and pleasant companion – a role she had played for her own father her entire life. But Mr Elton’s choice of wife shows us that he’s driven almost solely by financial and social ambition. It’s easy to imagine that a man “very full of his own claims, and little concerned about the feelings of others” would choose appearance over substance not only in courtship, but likely in his his choice of profession as well. After all, what gives a more pleasant appearance than a clerical collar? A man as interested in social position as Elton would likely have seen the church as his ticket into the drawing rooms of elegant young ladies. His appearance at the Lychgate, however, would most likely expose his parishioners to the moral failings of their Shepherd. I have to break here because it’s taken me quite a while to get this far and I’m just about to dive into my two favorite clerical characters: Mr Collins and Henry Tilney. I started this blog entry in May (the little one got over his pneumonia very quickly, thank you) but between work and motherhood I’ve been struggling to keep up with it. I’ll get the second half up as soon as possible – until then, what are your thoughts on Austen’s clergymen? Do you think any of them would make good husbands? Amy Patterson is a writer, bookseller, and mother of two crazy boys who unfortunately are named neither Henry nor Fitzwilliam. Amy L. Patterson Blog at WordPress.com.